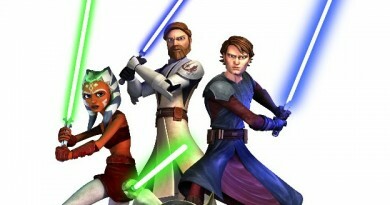 The Clone Wars wound to a close last Friday, and Megan has her last review of the season. 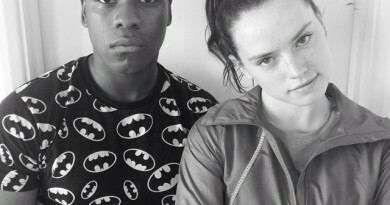 She is a huge Darth Maul fan and had a lot of insight to bring to this long-hyped return of a popular villain. 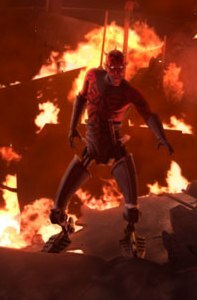 I have to admit, just like Megan, I had eagerly anticipated the concluding episodes of Season Four, having written about the story developments that lead up to Maul’s return. Unfortunately, I found the storytelling choices – particularly pacing and characterization – of the last four episodes uneven and disjointed. The reveal on Darth Maul left a lot of potential build-up on the table. I can’t help but wonder if having four directors over the arc hurt the process. Besides the breaks in between episodes feeling unnatural, there were plot points doubled-up and then other points missed that should have been covered. For all the hype, in my opinion the concluding arc ended up being one of this season’s weaker moments with an emphasis placed on cool visuals at the cost of telling a truly good story. Luckily Megan has agreed to join Lex and I in wrapping up our thoughts on Season Four. Look for that in a couple weeks. Speaking of The Clone Wars, Star Wars Insider had a very insightful interview with Oscar-winner Walter Murch, who directed the episode “The General.” This was one of the episodes I joined the ForceCast’s Clone Wars Roundtable to discuss. It was interesting to see what exactly the directors bring to the process.